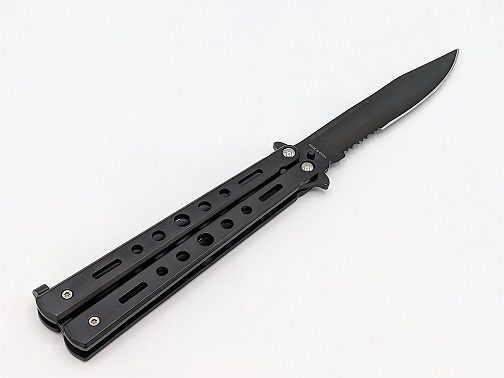 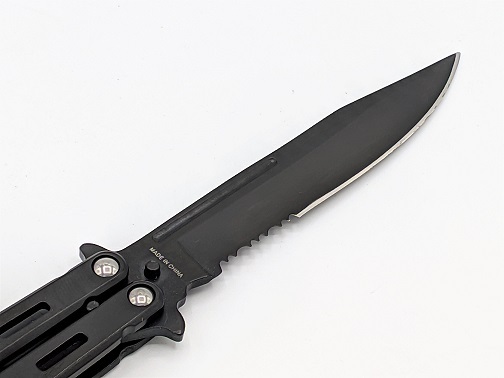 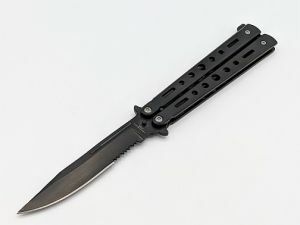 Black Solid Stainless Steel Hi-Tech Butterfly Knife. 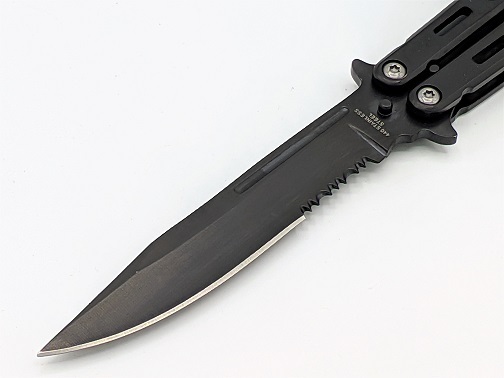 440 Stainless Steel Serrated Blade. 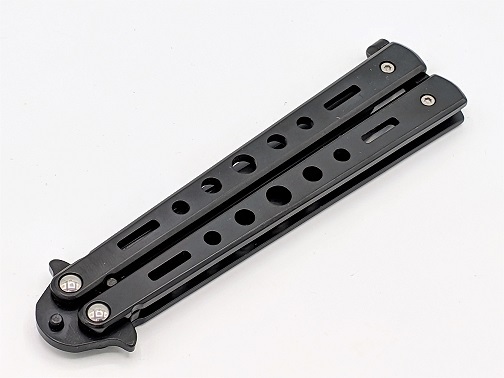 Lightweight Handle Design. 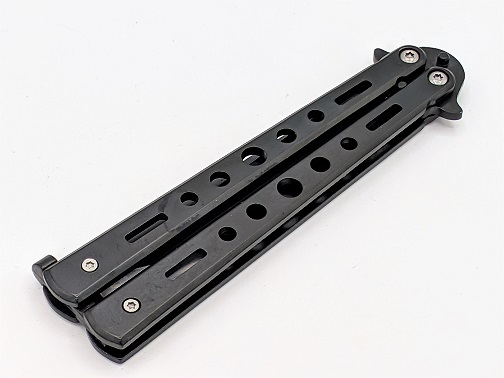 Locking Mechanism. Overall Length: 9" Blade Length: 4"